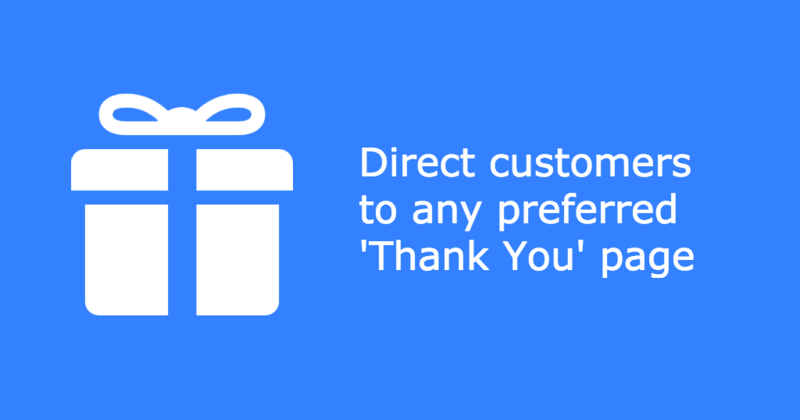 Sometimes you can offer your customers something more than just shopping in your online store. For example, you can offer a coupon for the next purchase or show them your cool company blog. By default, after placing an order, customers are directed back to your storefront. 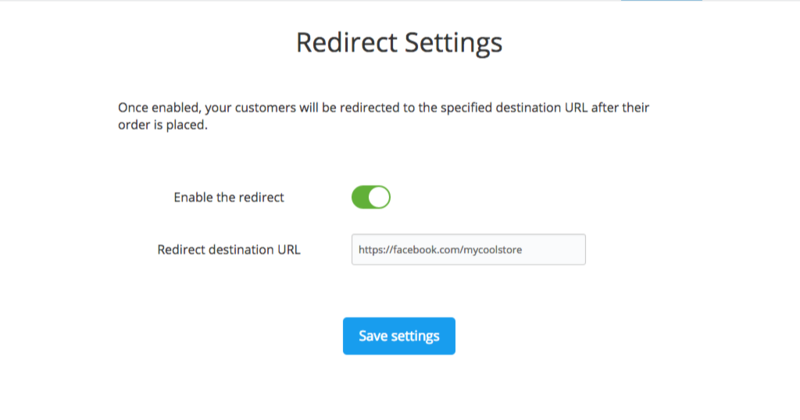 Using this app you can automatically direct your customers to the page you want. You can direct them to a specific page on your website, a category with featured products or your Facebook page - It’s now completely up to you!